We're about to release SemanticMerge for Java. We are trying to configure it for IntelliJ (and Android Studio) to document how to use it as external tool. 4) But then after "save & exit" we go back to the dialog where it says "accept yours, accept theirs, merge" and the conflict seems to be still there. The file has been correctly modified on disk. 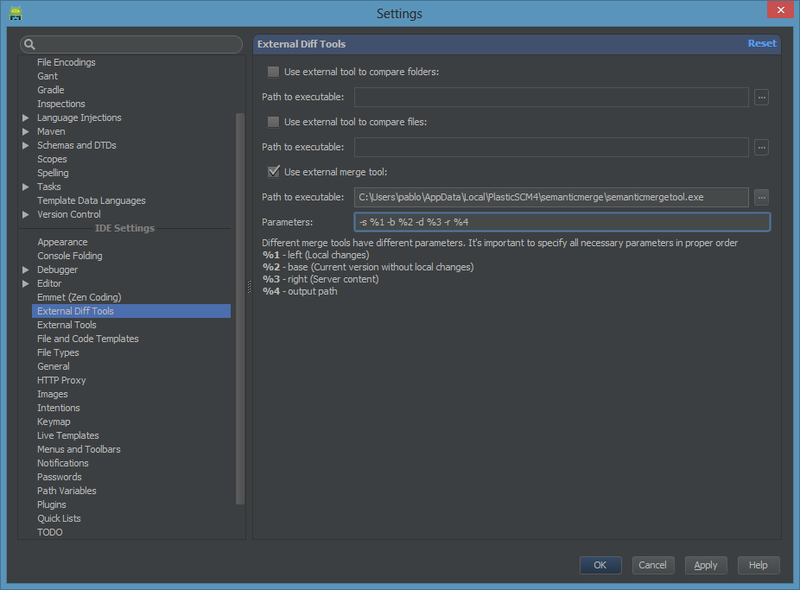 From here we've to press "accept yours" which is pretty strange since using built-in merge the conflict dissapears from the list after merging. Is it possible to set it up in a better way or should we stick to this mechanism? 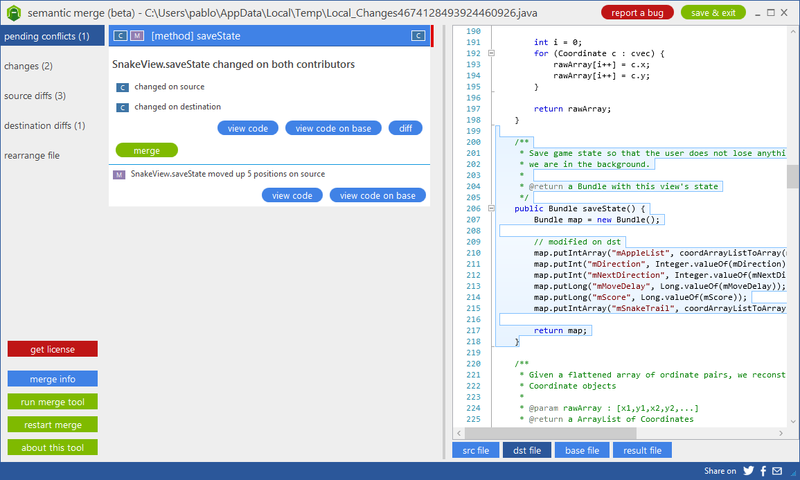 it looks like there is a bug in our code that doesn't allow to merge correctly via external tool. Would have been greate if JetBrains could have innovated here.